Rhode Island based sculptor Howard BenTré is exhibiting the "Lightness of Being" at the Dennos Museum Center, in Traverse City, Michigan. The exhibition, which opens on Friday, June 29 and continues until September 16, 2012, will include ten recently cast freestanding large sculptures, four smaller sculptures, and six works on paper. The body of work is a reflection on the strength yet lightness of architecture and the human form. BenTré's work has been installed in over twenty different public spaces and has been included in such notable collections as the Metropolitan Musuem of Art, the Rhode Island School of Design Museum, the Corning Museum of Glass, and the Philadelphia Museum of Art. Over the span of his thirty year long career, BenTre has been bestowed numerous awards including the Pell Award for Excellence in Arts, the Rhode Island State Council on the Arts Fellowship, and the National Endowment for the Arts Fellowship. 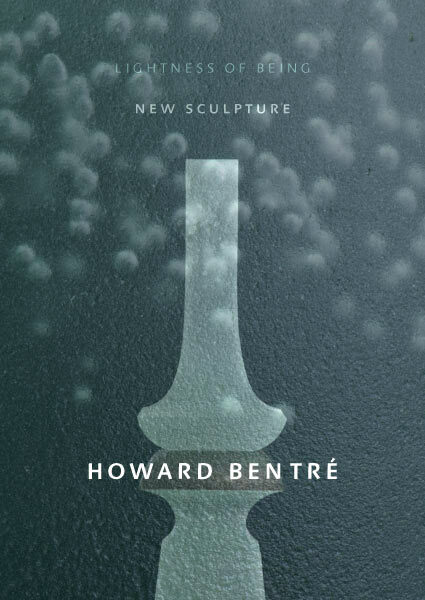 Malcolm Grear Designers is honored to have worked with Howard BenTré on the accompanying exhibition catalogue. The forty page catalogue features thirty full color images of BenTré's work and essays written by Eugene A. Jenneman, Executive Director of the Dennos Museum Center and Marilyn L. Wheaton, Museum Director of Marshall M. Fredricks Sculpture Museum. Additional information and images of BenTré's work can be found on his website, also designed by Malcolm Grear Designers.